Premier Location on Monument Square! 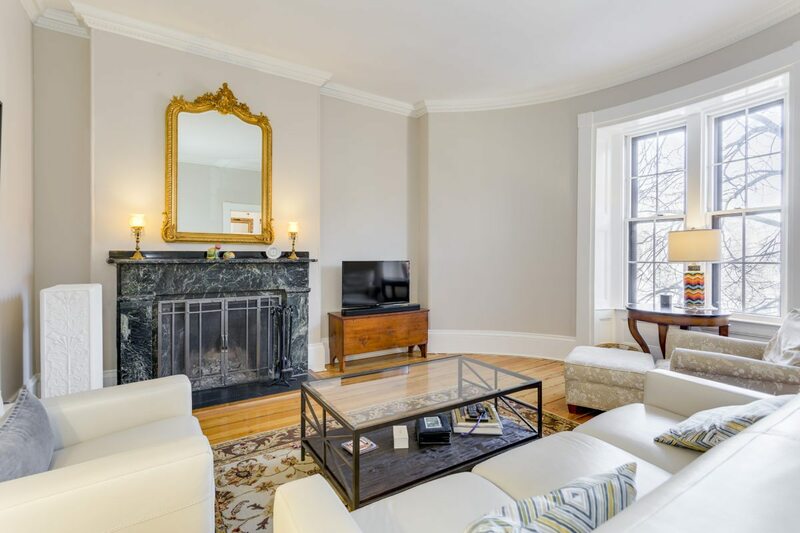 Live in this Historic Circa 1866 Italianate Brick Townhouse! Pristine 2 Bedroom plus Office with Striking Monument Views! An Embracing entrance foyer opens into a Classically Elegant Formal Livingroom with Curved walls and Double Bay Windows! Ornate Period Working wood burning Fireplace! Formal Diningroom with Ornamental Mantel! Remarkable Gourmet Eat in Chef’s Kitchen with top of the line appliances, Granite Counters & backsplash! Dramatic Exposed Brick accent Wall! Abundant Cabinet Storage! Two Large Bedrooms! Bonus Office/Nursery! Towering Ceiling Height! Gleaming Random Pumpkin Pine Floors throughout! Oversized Windows are Everywhere! Sundrenched Southwestern Exposure! Enjoy One the Most Admired Roofdecks in the Entire City! Endless Breathtaking Views of the Boston Harbor, City Skyline & Bunker Hill Monument! Laundry in unit and extra storage! An Outstanding Opportunity in Outstanding Location!